This morning I awoke with lots on my mind. And the sound of my stomach growling. My husband and I were discussing the budget for the year at 6:30 a.m. Remind me not to do that again. I hate the budget talk. I'm not a frivolous spender, but I can't stand talking about money. But I did. I sat up in bed with my laptop and created a spreadsheet for our finances and grumbled about things to come. Furniture. Ballet. Homeschool books. Other classes. New tires. Braces. The list went on and on. That's why I hate the money talk. It never looks right on paper. I like to buy impulsively, yet with restraint. I know how to stretch the grocery budget so that I can use some of that money to buy a new pair of shoes for my son...and the shoes likely came from the clearance rack. So, when budget day comes, I feel stressed, anxious, caged...and today, I got to add to all of those...hungry. The kids came in and piled on top of us in bed to lay all over us and hug us...and to ask for pancakes. PANCAKES!!! Jeff and I both groaned. We would LOVE pancakes right now. But, it's day 5 of our Daniel Fast, and we're making a grumpy budget and not eating pancakes. Sigh. I finished up the spreadsheet, staggered down the stairs, and made a mountain of pancakes. I made enough to last for a few days so that the kids can just warm them up in the mornings and I don't have to keep standing over a griddle drooling. It's rather unladylike. After breakfast, our Bible time reading of Daniel 4 was great and the kids even made the cutest illustrations of King Nebuchadnezzar's dream. We talked about how he was literally reduced from the palace to living in fields with wild animals and eating grass, and then promoted again to headship of his kingdom, with even greater honor than before. I love how that chapter ends, with this quote "Now I Nebuchadnezzar, praise and glorify and honor the King of heaven. All his acts are just and true, and he is able to humble the proud." "All his acts are just and true..." That phrase will get me through anything. 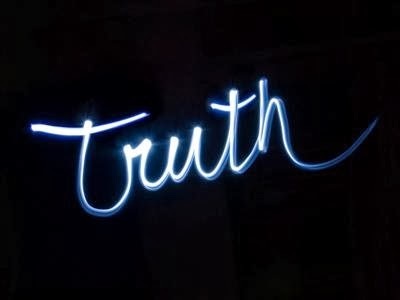 In fact, when I've been shaken by stresses in my life lately, I keep hearing myself repeat the phrase "You're my Truth. You're my Truth. You're my Truth." You see, I've had to have an understanding with myself. I've come to the realization that my "facts" are not my "Truth". When my kids are straying, that may be a fact; but it isn't my Truth. The Truth is that my children are taught of the Lord and great is their peace and undisturbed composure, and His Word does not return void, but prospers where it is sent. When my finances look unbalanced, that may be a fact; but it isn't my Truth. The Truth is, one of God's names is Jehovah Jireh, and it means He is my Provider. When my son's body was born crippled, that was a fact; but it wasn't my Truth. The Truth is, by Jesus' stripes, He was healed! Nebuchadnezzar had it RIGHT! All God's acts are just and TRUE!!! Disregard the facts. Just toss them out the window. The facts have no bearing on an act of God. Here's the truth...when you can cast your cares on Him, knowing that He cares for you, you've got it made! So, make your spreadsheet, but don't let it depress you. Advise and love your children, but don't let their choices give you chest pains. Look your doctor in the eyes and say "Thank you for your opinion", but don't let that be the last opinion you accept. He's your Truth. He's your Truth. He's your Truth. Father, forgive me for losing sight of Your Truth. I reach now for the hem of your garment and BELIEVE You! I believe you. As I walk out each day, "Living the Good Life", remind me of how good it is, only because You are in it. Thank you for the testimonies you've given me. Thank you for all the testimonies I have yet to give, sharing your faithfulness to those who haven't yet known the Truth. You are a God who leaves me in awe. I love you. Amen.